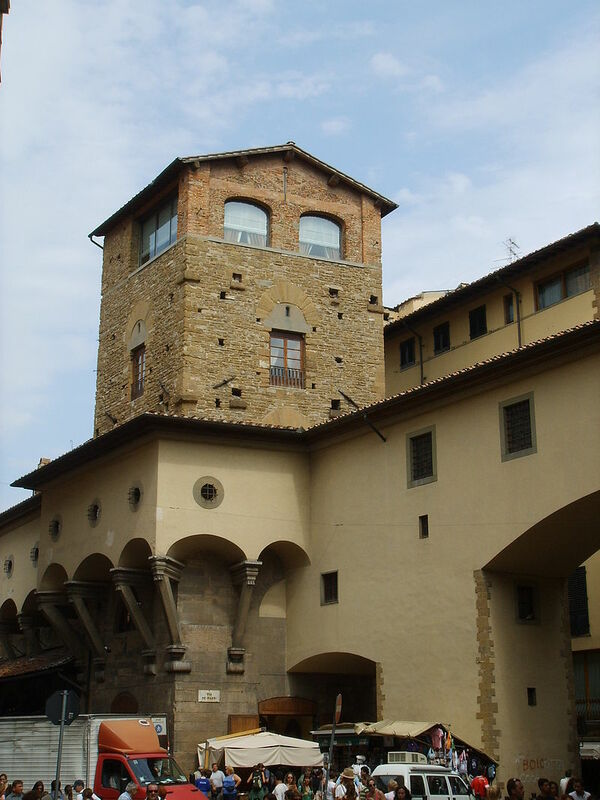 Whilst Uffizi’s director Eike Schmidt decides if to remove the self portraits from the Vasari Corridor or not, in his attempt to make it accessible to the general public, let us take a look at this extraordinary piece of architecture. 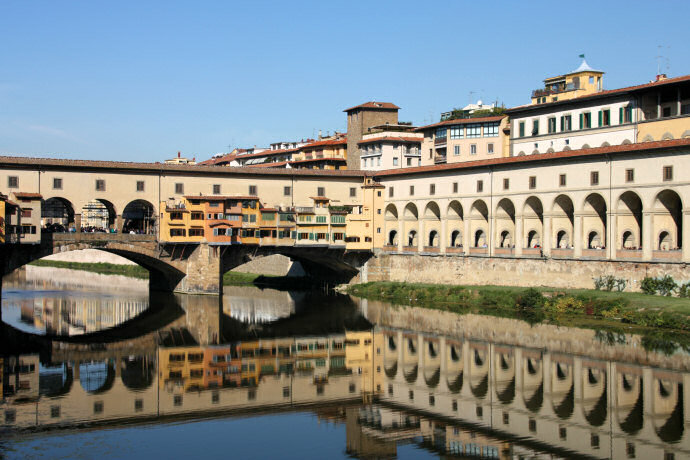 The Vasari Corridor is an enclosed passage which connects Palazzo Vecchio to the Uffizi Gallery, continues along the River Arno, crosses the Ponte Vecchio, snakes its way through the Oltrarno district to finally arrive at Palazzo Pitti. It took 5 months to build in 1564 by order of Duke Cosimo I de’ Medici. The corridor was commissioned for the wedding of his son Francesco with Joanna of Austria. Cosimo needed a safe place where to move between palaces and avoid the public. The design was made by Giorgio Vasari, hence the name, who had to face various predicaments such as the Mannelli’s family refusal to have their tower, which was on the way, demolished or altered. 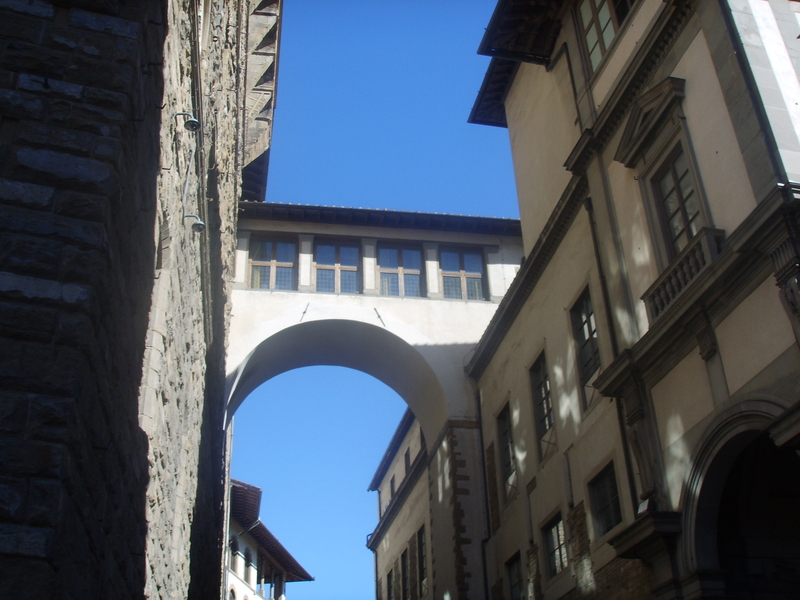 In the end, Vasari built the corridor around it. 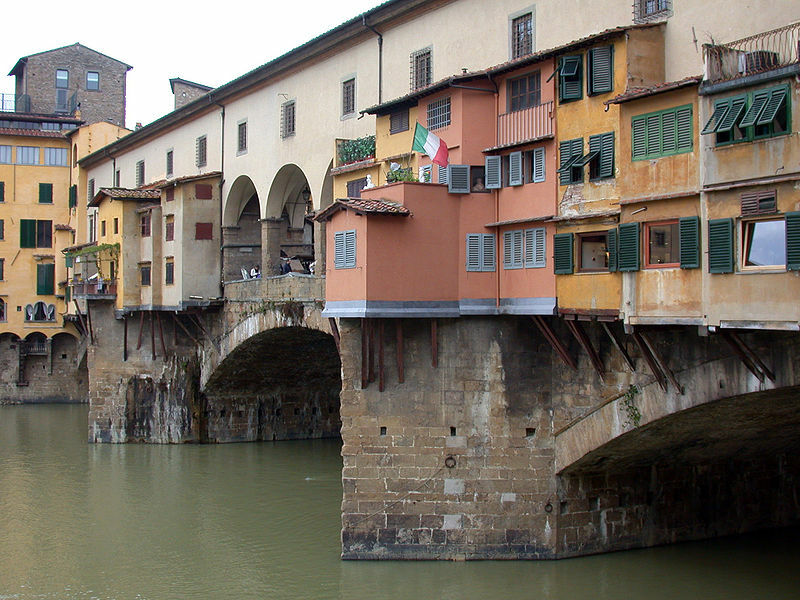 On Ponte Vecchio, instead, there once was a meat market which was moved to avoid its smell reaching the passageway. The butchers were substituted by the goldsmiths who still today maintain their position on the bridge. At a certain point, after Ponte Vecchio, the corridor passes over the open gallery of the Church of Santa Felicità. 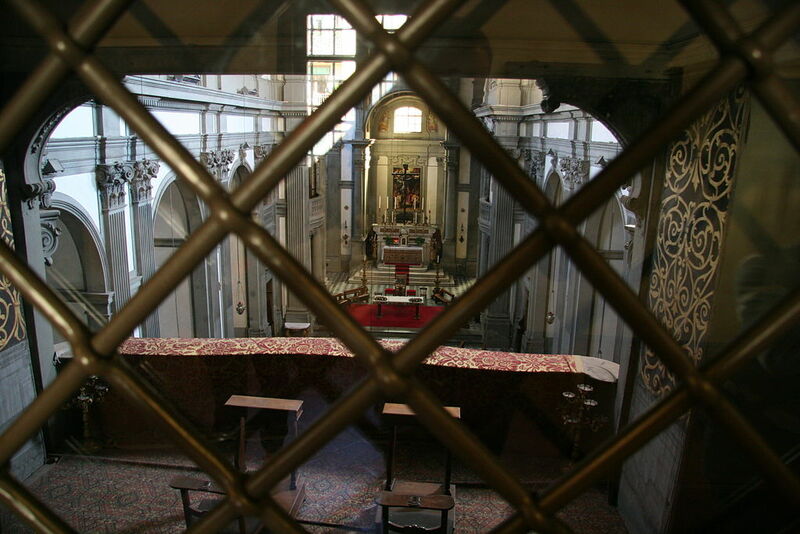 Here Vasari had a balcony made so that Cosimo and his family could follow the services without mixing with the masses. 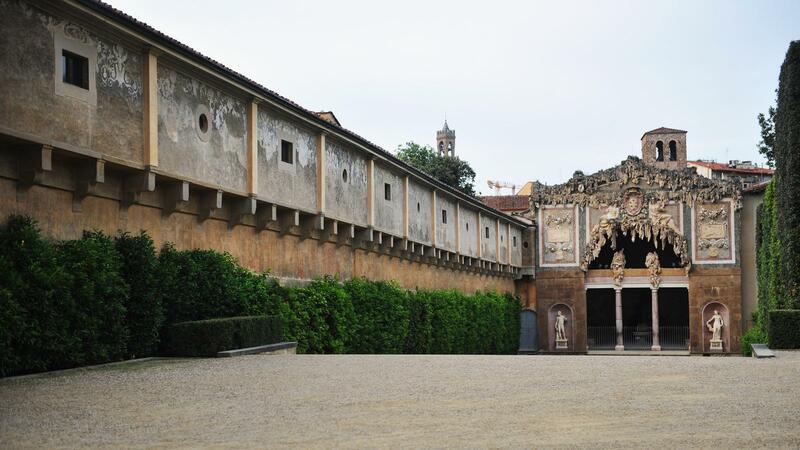 Today the modern museum itinerary starts from the Uffizi and ends in the Boboli Gardens near the Grotta di Buontalenti. 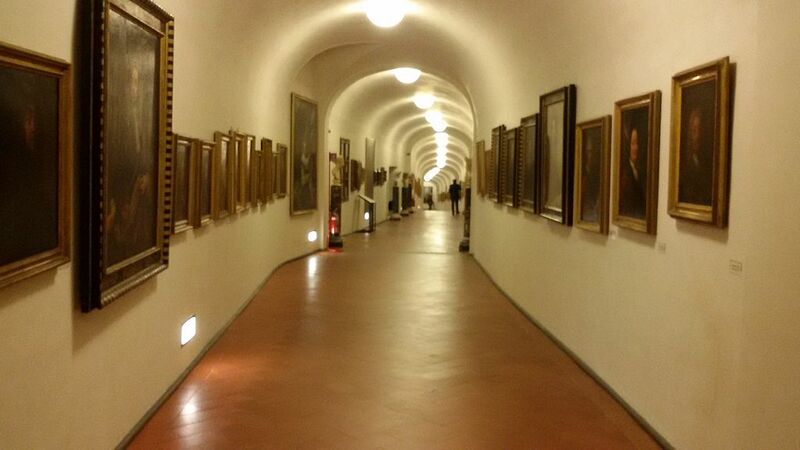 At the present, in the Uffizi section, the Corridor houses a collection of famous self-portraits. Closed most of the time, during the rare moments it is open to the public the tickets are certainly not cheap. Recently, Uffizi director Eike Schmidt has decided to open the Vasari Corridor to the public and is now considering if to invest in a stronger security or to remove the over 1,600 self-portraits to a safer place. These magnificent masterpieces have been collected over the centuries by the various owners of the Uffizi and number among them the self-portraits of Raphael, Filippino Lippi, Hans Holbein, Lavinia Fontana, Gian Lorenzo Bernini, Jacques-Louis David, 3 by Rembrandt, and many, many more. Certainly about time the general public can get a good look at them. Questa voce è stata pubblicata in Florence, Tuscan architecture, Tuscan towns and cities, Tuscany e contrassegnata con Boboli Gardens, Corridoio Vasariano, Cosimo I de' Medici, Filippino Lippi, Gian Lorenzo Bernini, Giorgio Vasari, Hans Holbein, Jacques-Louis David, Palazzo Pitti, Palazzo Vecchio, Ponte Vecchio, Raphael, Rembrandt, Santa Felicita, Vasari Corridor. Contrassegna il permalink.